Why wait to coach drivers until AFTER an incident has occurred? Easily extend the reach of your safety program. Coach provides real-time audible violation warnings so drivers can take corrective action when it’s most critical to mitigating accidents. The solution monitors the road and provides voice feedback when drivers exceed posted speed limits, tailgate, don't stop at stop signs, lane drift, brake too hard, corner too fast, or rapidly accelerate. Drivers are encouraged to proactively monitor their performance with an easy-to-use intuitive dashboard. Drivers can access video based scorecards to track individual progress and check their development compared to the fleet’s average. They also can conveniently review videos and images of events as well as challenge captured incidents. Zonar Coach Printable Product Brochure Protect drivers and fleets with the most effective in-cab driver coaching solution. Coach provides real-time audible violation warnings so drivers can take corrective action. Increase driver engagement and participation in safe driving by gamifying the coaching experience. Fleet managers can reward the safest drivers while correcting hazardous ones with insights from Coach. Fleet managers can easily access reports on fleet and driver performance, view video and images of incidents, and customize configurations. Additionally, drivers receive a scorecard at the end of each trip to incentivize safe driving behavior. Coach utilizes a forward facing camera to detect objects on the road and record incidents. With video and photographic evidence of driving events in hand, drivers are encouraged toward safer driving habits along with when needed, proof for exoneration in case a driving event contained extenuating circumstances. 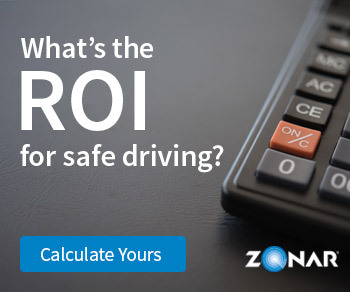 Optimize Coach by leveraging Zonar’s other fleet telematics solutions to digitize your operation in one comprehensive platform.